Here is an interesting piece about a high-voltage apparatus known as the "radio-cellular-oscillator" or multi-wave oscillator. 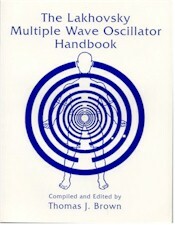 In addition to providing a detailed description of this purported electrotherapeutic device, including Lakhovsky's own commentary about its effects on living plant and animal tissues, this work also contains a number of high-frequency oscillator circuit diagrams. Included are two Lakhovsky patents titled APPARATUS WITH CIRCUITS OSCILLATING UNDER MULTIPLE WAVELENGTHS, and TUBE FOR PRODUCING MULTIPLE WAVE LENGTHS. Other descriptions include a number of auto ignition coil powered oscillators (some of them incorporating solid-state devices), and a few vacuum-tube based circuits.